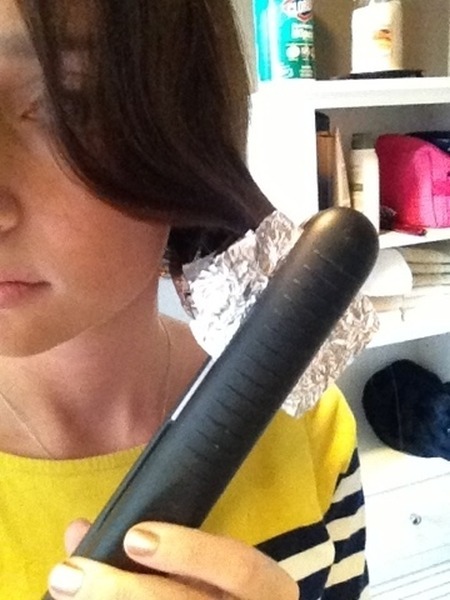 How to fake a blowout? 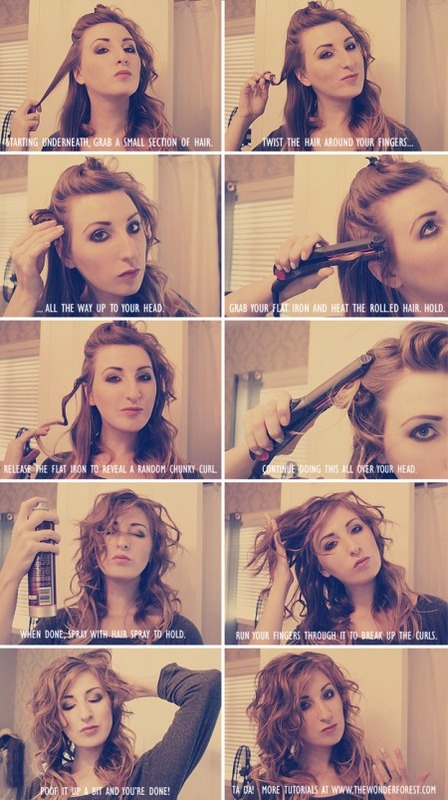 Fake a blowout by curling from the ends up using a large barreled curling iron. 3 steps to easy breezy beach waves. If all you need is a little bit of extra body, scrunch your hair with beach spray or gel and use a diffuser. Flat-iron your braids as a quick way to create waves. How to make your hair look shorter? 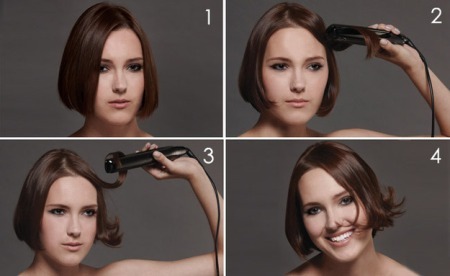 For shorter hair, twist the lock of hair up and heat the rolled hair with a flat iron. You don`t have to wash your hair every day, just wash your bangs. You don’t have to wash your hair every day — just wash your bangs. 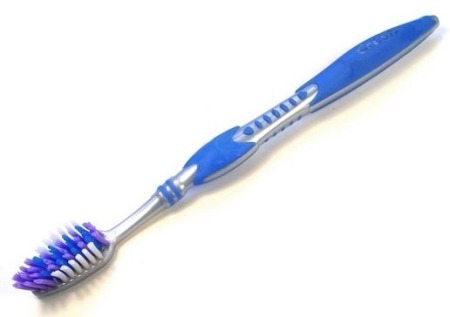 Another way to fight frizz. 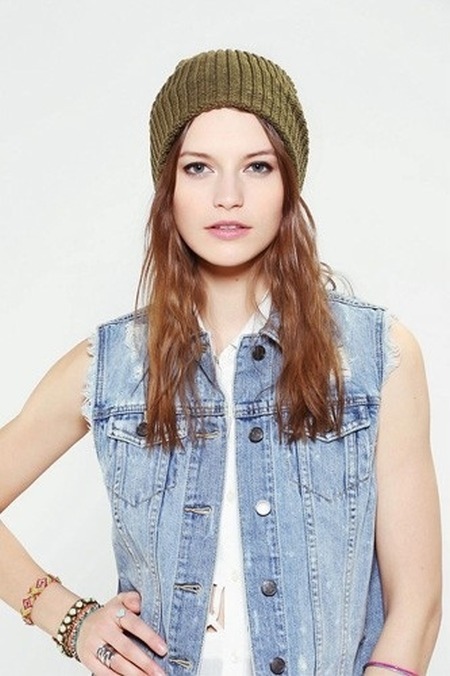 Another way to fight frizz: Sleep with a beanie on while your hair is wet. 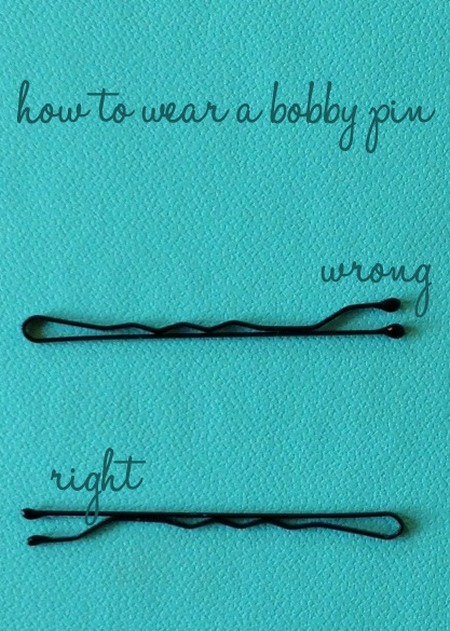 Contrary to popular belief, stick your bobby pins in wavy side down. 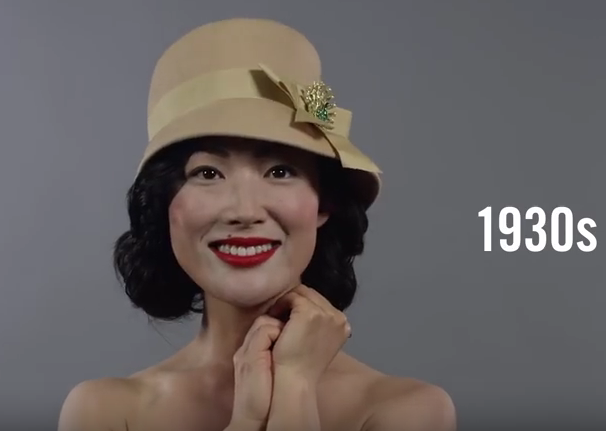 Create curls that seriously LAST. 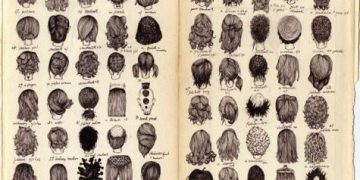 Set your style by letting hair cool. 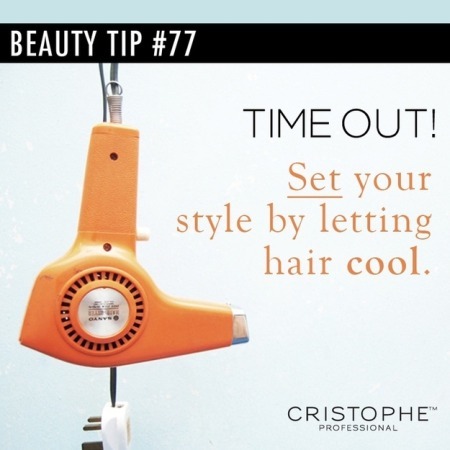 Set your hairstyle by blasting it with cool air when you’re done. 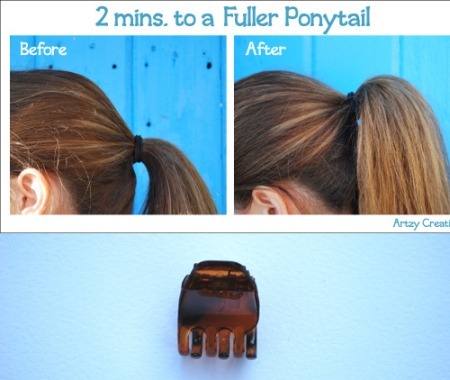 2 mins to a fuller ponytail. Use a small claw clip to get a more voluminous ponytail. 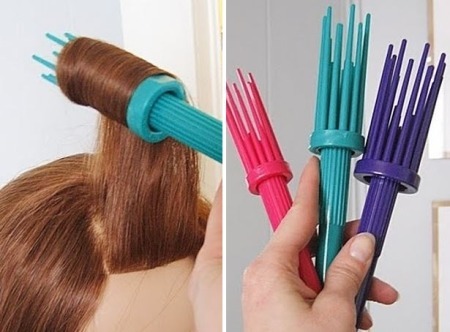 For an easy way to create victory rolls and vintage pinup hairdos, you NEED this $5 curling brush contraption. This simple flat-iron trick will give a short haircut body and movement. For the easiest buns, use spin pins. 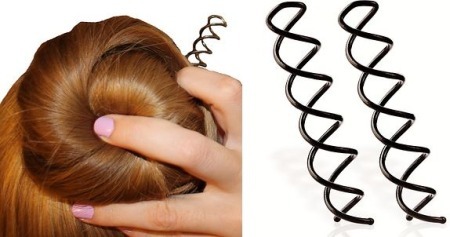 For the easiest, most secure buns ever, use spin pins instead of bobby pins. How to keep curls neat and intact while you sleep? 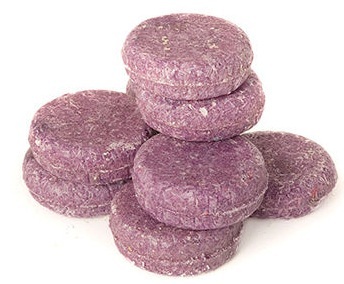 For curly/natural hair, group your hair into “pineapples” to keep your curls neat and intact while you sleep. Before attempting a sleek updo, spray your hands with hairspray and run them through your hair.